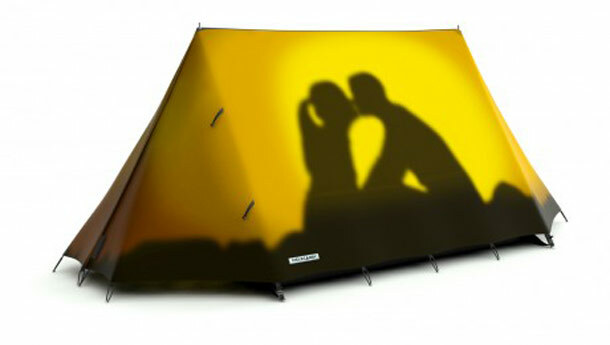 Although it’s winter in most places I know I had to share this amusing tents designed by FieldCandy. tents do not give you camouflage protection in the natural setting, nor do they help you blend in with the rest of the crowd at the campsite. FieldCandy tents are designed to stand out. FieldCandy, a UK based studio selected a group of 18 artists and designers to create designs that were then transferred to the ultra-light, waterproof flysheet that covers the two-person tent. By now FieldCandy offer more than 40 different designs by 18 artists. The designs are grouped in several collections.